Swimming is a great way to maintain lifelong Fitness and wellness. It is also a great way to stay cool in the summer with friends and family. The City of Welland has three public outdoor swimming pools for families to enjoy. Access to the pools is FREE of charge to everyone. The City offers a wide range of high quality and affordable instructional programs. Learn to swim, train to be a lifeguard, develop leadership skills, explore the water, and meet new friends. Splash-pads are also available at Memorial Park and Glenwood Park. Capacity: 400 − large pool and wading pool. Capacity: 400 − large pool and splash pool. Also, located at Memorial Park is a splash pad. Glenwood Park and Memorial Park Splash Pads are now open for the season. The Chippawa Park Splash Pad is now under construction. Stay tuned for a whole new Splash Pad coming to Chippawa Park later this summer. Admission Standards for Public Pools were developed by the Office of the Chief Coroner to assist lifeguards and assistant lifeguards in maintaining adequate surveillance over the whereabouts and the activities of young bathers while they are inside the pool enclosure. The Ministry of Health and Long-Term Care strongly supports these recommendations for the purposes of preventing injuries and fatalities. Ratios of instructors/lifeguards to bathers must also be maintained as per Regulation 565. Donations of non-perishable food items can be made at all or our pools to benefit local food banks. 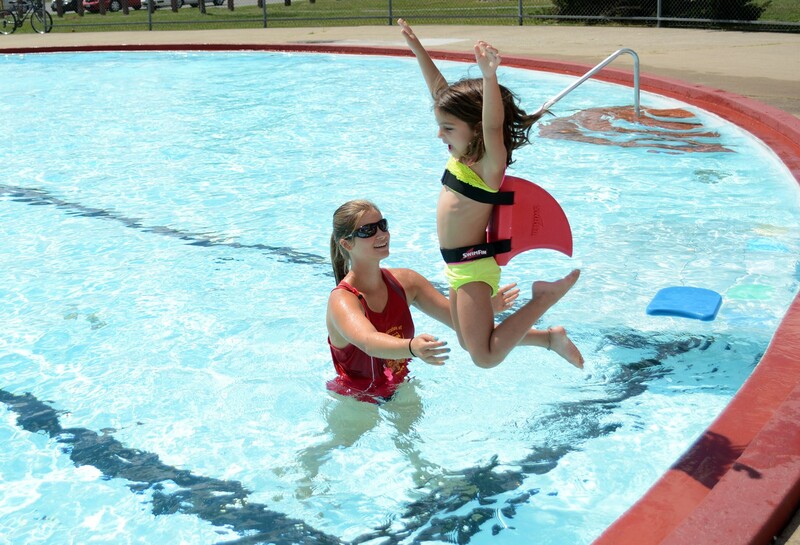 we will evaluate your child’s swimming ability free and recommend the appropriate level for swim lesson registration. Just ask a Supervisor! Lifejackets are allowed, however, children in lifejackets must be within arms reach of adult at all times.